Vickie Shaw was a late bloomer as both a comedian and a lesbian, discovering her on stage talent and affinity for women as she approached her forties. A married, stay-at-home mom at age 38, Shaw took to the comedy stage for the first time after years of encouragement from friends — a brave first step toward self-discovery. These days, Shaw is a happily lesbian partnered, headlining comedian who has toured the world making people laugh. Her act draws largely from her personal life — her partner, Sgt. Patch, three children and three grandchildren provide ample fodder for her true life comedic tales. Shaw also has numerous television and film credits, having appeared in “Late in Life Lesbians” on the We network, “You Can Take the Girl Outta Texas” on Logo, “Comics Unleashed with Byron Allen,” Comedy Central’s “Premium Blend ” and “Laughing Matters … More.” She regularly headlines LGBT events and cruises, entertaining crowds with her sassy and sidesplitting Texas-inspired storytelling. Shaw is getting ready to spend a week performing in Provincetown, July 22-26. You can catch her there at the Crown and Anchor all week as part of Girl Splash. She also has a new DVD coming out in August titled “I’m Not Your Role Model.” The DVD follows the comedian’s antics on and off stage, introducing fans to her partner, her children and grandchildren at their home in Houston, Texas, as she prepares for her sold out show in Hollywood. Shaw took a break from her fast-paced life to answer our Fast 5 this week. 1. If you could be anywhere else in the world right now, where would you want to be and what would you be doing there? Paris and sitting in a bistro drinking wine and looking at the city. 2. What’s the last book you read? “The All-Girl Filling Station’s Last Reunion: A Novel” by Fannie Flagg. 3. If you could host a dinner party and invite any five people — past or present — to attend who would be on that guest list? Ellen Degeneres, Billie Jean King, Kate Clinton, Bette Midler and Elton John. 5. Which individual has been your greatest professional influence? Roseanne Barr — she made comedy look like anyone could do it. 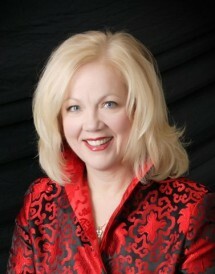 Keep up with Shaw by visiting her website and be sure to follow her on Facebook and Twitter. Posted July 18th, 2014 & filed under Interviews.